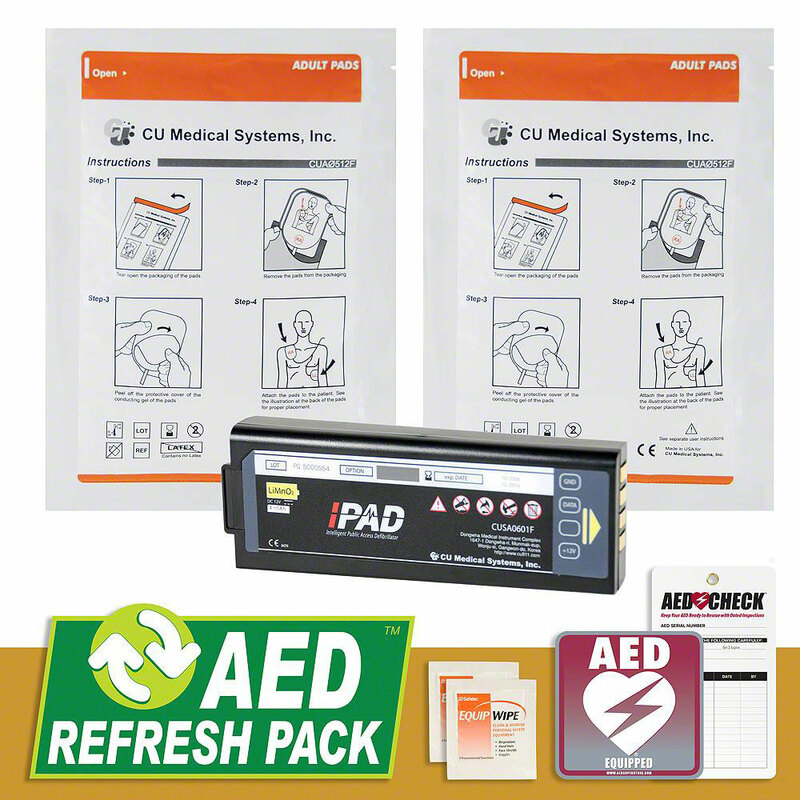 Essential components for your CU Medical i-PAD AED in a convenient package! Question: Is it time to replace your pads & battery? AED electrode pads and batteries have a finite shelf life and need to be replaced from time to time. You may ask, "Where do I find the right electrodes? Which battery do I need?" 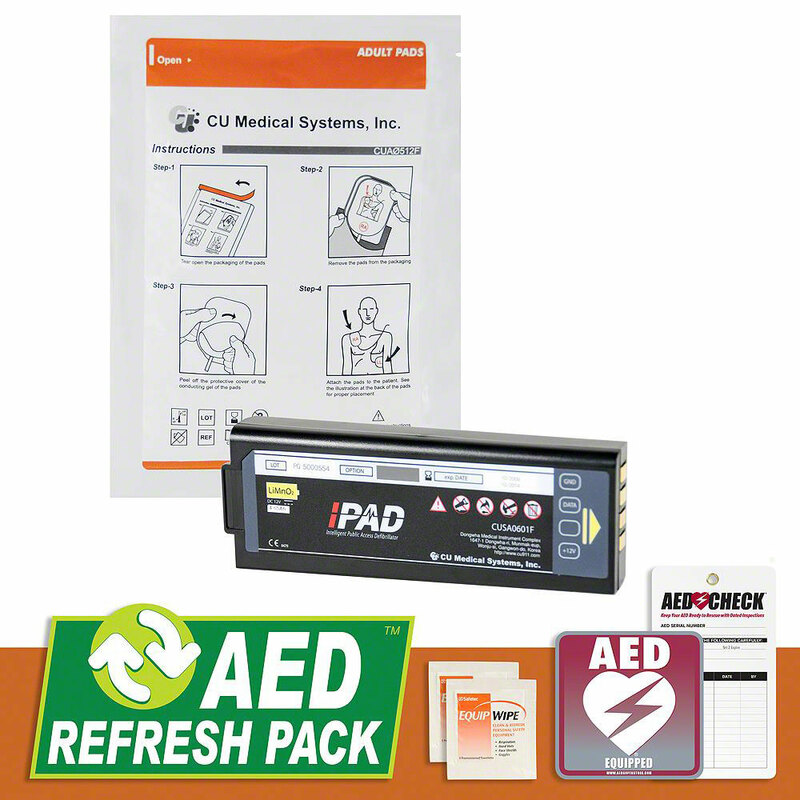 Allow us to simplify and streamline the process for you with our AED Refresh Packs, an AED Superstore exclusive! No more searching for each individual item you need to keep your AED supplies up-to-date and ready for use. Let us save you time and effort! AED Superstore has bundled the essentials for your AED, making the reorder process easy and convenient. Just locate your AED make/model, and choose the Refresh Pack that's right for you! Available in your choice of Basic, Standard, Select, or Complete, there is a Refresh Pack designed to suit your specific needs or requirements. Each one includes 2 Antimicrobial Equipment Wipes, a Window Decal, and an AED Check Tag.